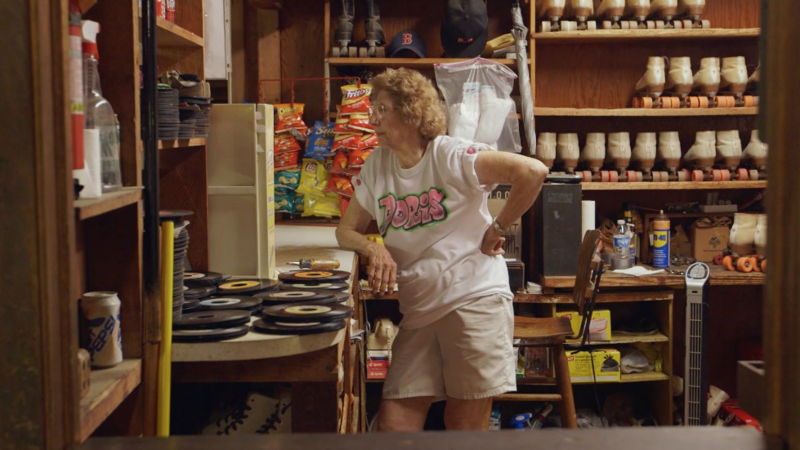 NicoleTriche's new documentary "All Skate, Everybody Skate" tells the story of Doris Jenkins, who has run a roller rink on Topsail Island, NC for more than 50 years. Doris Jenkins has led customers in roller skating fun and games for over 50 years from her rink on Topsail Island, NC. She is the locally famous subject of a new documentary premiering at 4 p.m. on Friday, April 7 as part of this year's Full Frame Documentary Film Festival. Host Frank Stasio talks with filmmaker and director Nicole Triche about the film, and its septuagenarian subject. A conversation wtih filmmaker and director Nicole Triche about her new documentary, “All Skate, Everybody Skate,”.